I can’t stand spiders. They scare me more than any other creepy crawly thing. 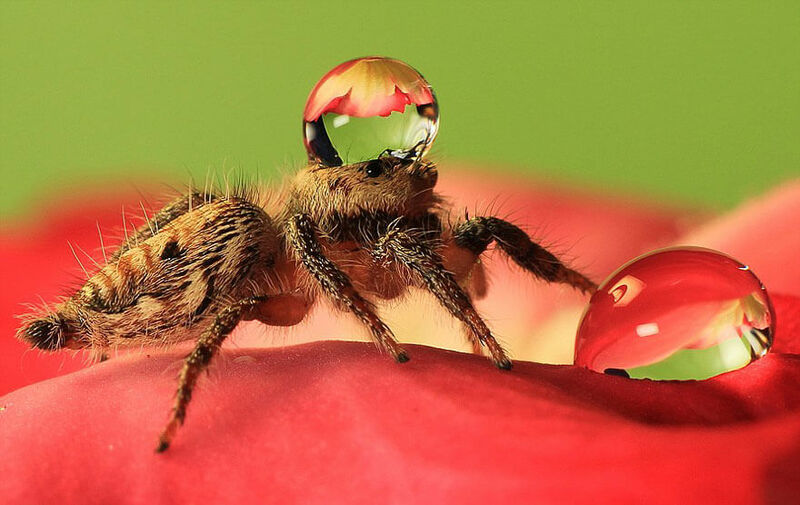 But these spiders with their silly little water hats are kind of adorable. Even with their many legs and eyeballs. 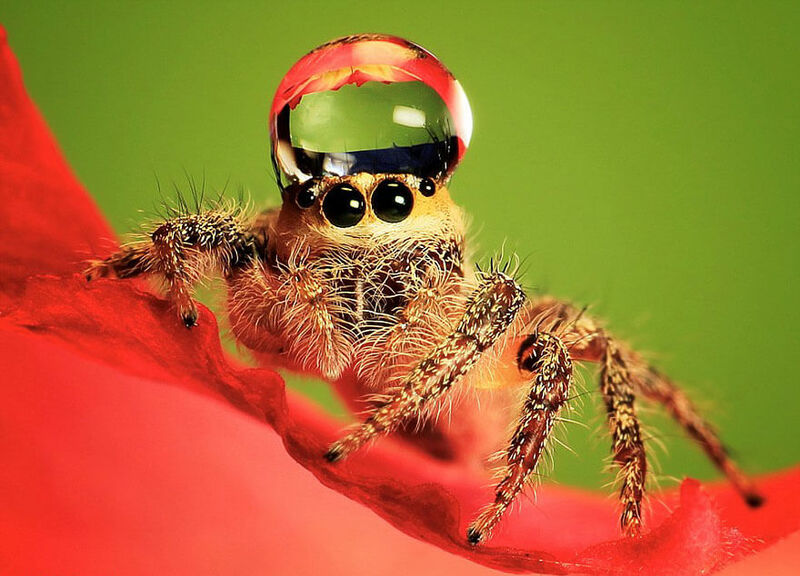 They look like cute jumping spider water hat right? I don’t know what it is about tiny creatures with too many legs that scare people so much. 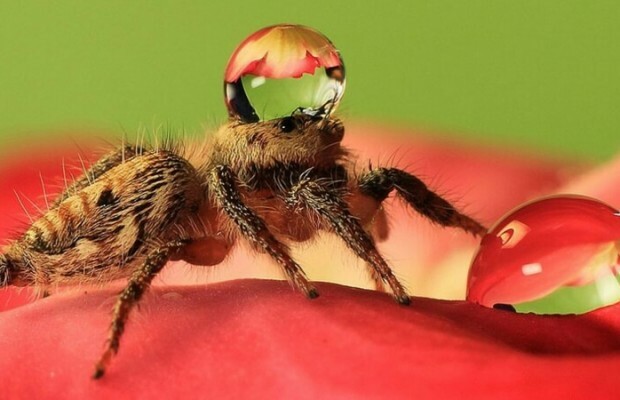 There are actually quite a few spider species that are great to have around the house or garden. They don’t harm humans but they eat other, less helpful bugs. A 33-year-old photographer from Batam Island, Indonesia, Uda Dennie, took these photos. They’re right in the middle of this perfect triangle of hilarious, interesting and adorable. If you ask me, that’s a recipe for a real crowd pleaser. 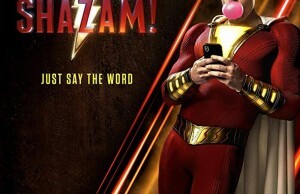 I don’t blame him. 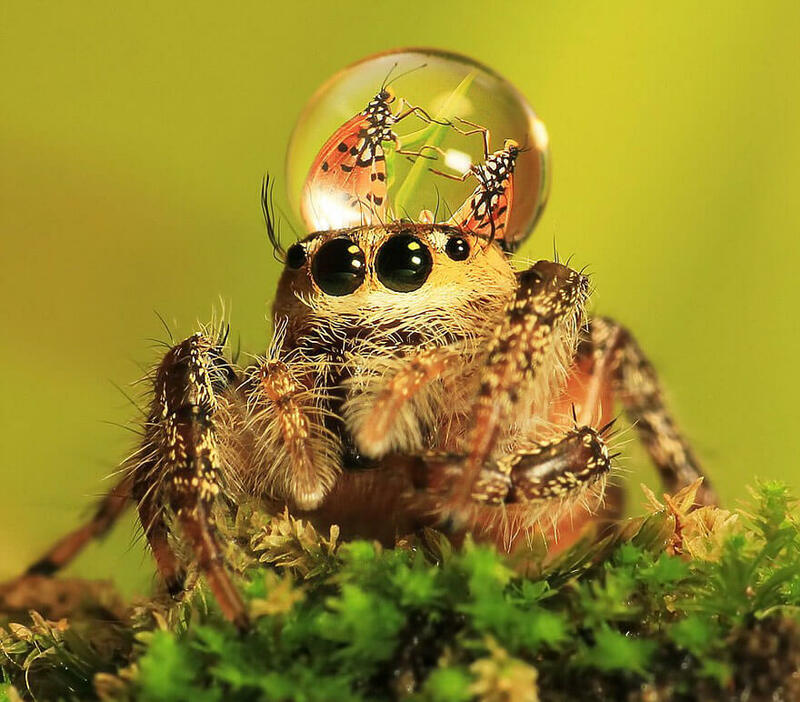 Being able to get up close and personal with a tiny object or creature can be so fascinating. 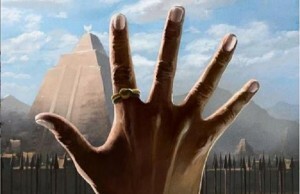 You’re seeing something that most people don’t see with the naked eye. 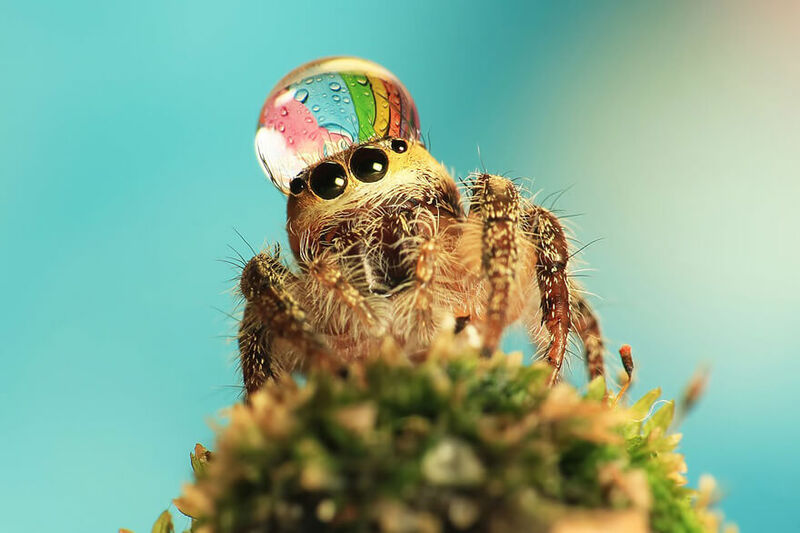 Take a look at these awesome, cute and funny images of spiders with fancy water drop hats. Let us know what you think in the comments. 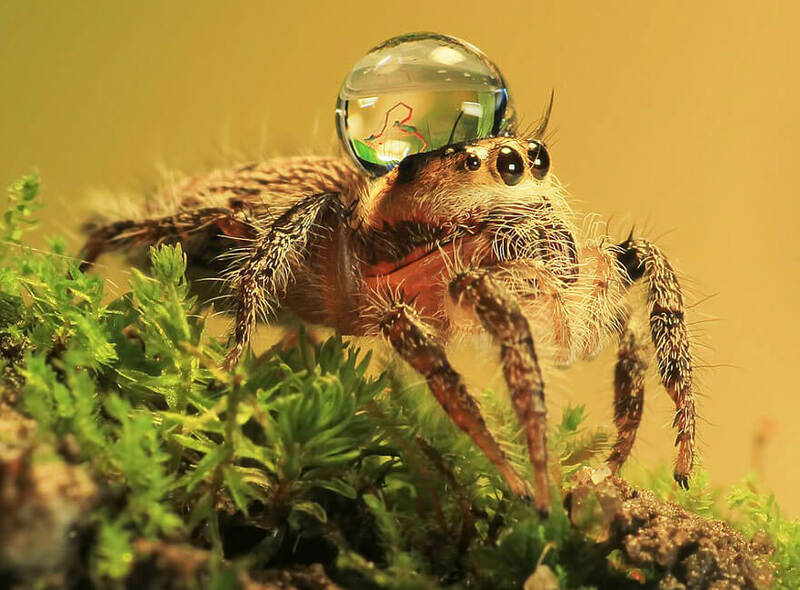 Do they seem less threatening than your average spider?